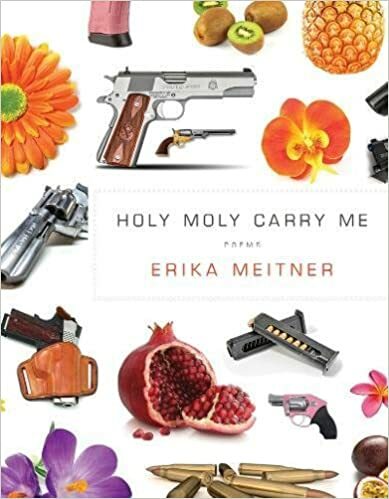 Erika Meitner’s fifth collection of poetry plumbs human resilience and grit in the face of disaster, loss, and uncertainty. These narrative poems take readers into the heart of southern Appalachia―its highways and strip malls and gun culture, its fragility and danger―as the speaker wrestles with what it means to be the only Jewish family in an Evangelical neighborhood and the anxieties of raising one white son and one black son amidst racial tensions and school lockdown drills. With a firm hand on the pulse of the uncertainty at the heart of 21st century America and a refusal to settle for easy answers, Meitner’s poems embrace life in an increasingly fractured society and never stop asking what it means to love our neighbor as ourselves. We are all losing all the time. Four titanic forces—time, mortality, forgetting, and confusion—win victories over us each day. We all “know” this yet we keep dreaming of beautiful fulfillments, shapely culminations, devotions nobly sustained—in family life, in romance, in work, in citizenship. 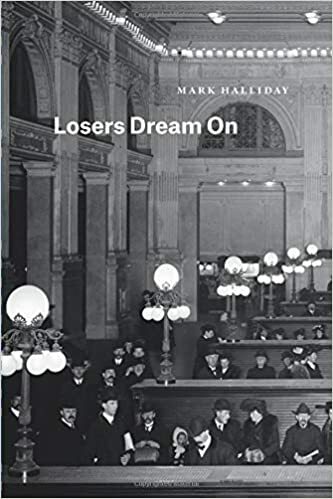 What obsesses Halliday in Losers Dream On is how to recognize reality without relinquishing the pleasure and creativity and courage of our dreaming. Halliday’s poetry exploits the vast array of dictions, idioms, rhetorical maneuvers, and tones available to real-life speakers (including speakers talking to themselves). Often Halliday gives a poem to a speaker who is distressed, angry, confused, defensive, self-excusing, or driven by yearning, so that the poem may dramatize the speaker’s state of mind while also implying the poet’s ironic perspective on the speaker. Meanwhile, a few other poems (for instance “A Gender Theory” and “Thin White Shirts” and “First Wife” and “You Lament”) try to push beyond irony into earnestness and wholehearted declaration. The tension between irony and belief is the engine of Halliday’s poetry. 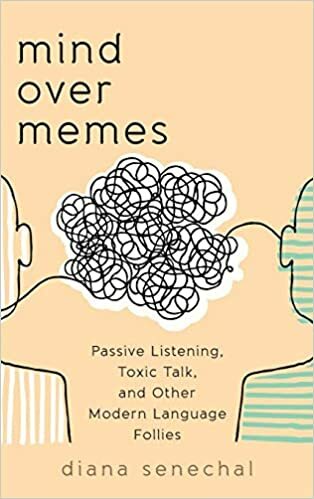 In Mind over Memes: Passive Listening, Toxic Talk, and Other Modern Language Follies, Diana Senechal examines words, concepts, and phrases that demand reappraisal. Targeting a variety of terms, the author contends that a “good fit” may not always be desirable; delivers a takedown of the adjective “toxic”; and argues that “social justice” must take its place among other justices. This book also includes a critique of our modern emphasis on quick answers and immediate utility. 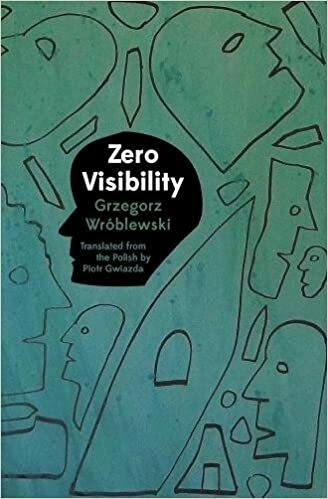 By scrutinizing words and phrases that serve contemporary fads and follies, this book stands up against the excesses of language and offers engaging alternatives. Drawing on literature, philosophy, social sciences, music, and technology, Senechal offers a rich framework to make fresh connections between topics. Combining sharp criticism, lyricism, and wit, Mind over Memes argues for judicious and imaginative speech. The Lake on Fire is an epic narrative that begins among 19th century Jewish immigrants on a failing Wisconsin farm. Dazzled by lore of the American dream, Chaya and her strange, brilliant, young brother Asher stow away to Chicago; what they discover there, however, is a Gilded Age as empty a façade as the beautiful Columbian Exposition luring thousands to Lake Michigan’s shore. The pair scrapes together a meager living―Chaya in a cigar factory; Asher, roaming the city and stealing books and jewelry to share with the poor, until they find different paths of escape. An examination of family, love, and revolution, this profound tale resonates eerily with today’s current events and tumultuous social landscape. 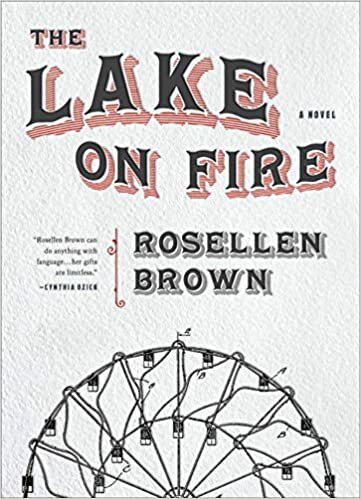 The Lake on Fire is robust, gleaming, and grimy all at once, proving that celebrated author Rosellen Brown is back with a story as luminous as ever. 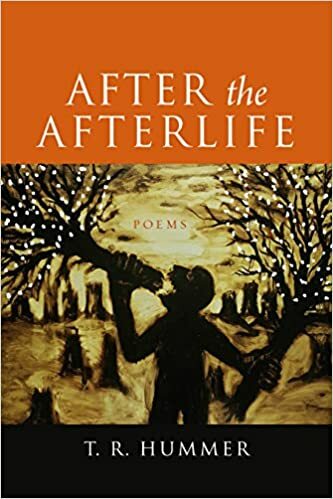 Recent poems and fictions set in the early Americas are typically read as affirmations of cultural norms, as evidence of the impossibility of genuine engagement with the historical past, or as contentious repudiations of received histories. Inspired particularly by Mihai Spariosu’s arguments regarding literary playfulness as an opening to peace, Rewriting Early America: The Prenational Past in Postmodern Literature adopts a different perspective, with the goal of demonstrating that many recent literary texts undertake more constructive and hopeful projects with regard to the American past than critics usually recognize. 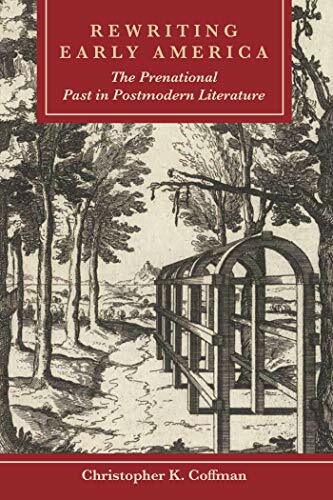 While honoring writers' pervasive critiques of hegemony, this volume trades a preoccupation with antagonism for an interest in restoration and recuperation. It describes how texts by John Barth, John Berryman, Susan Howe, Toni Morrison, Paul Muldoon, Thomas Pynchon, and William T. Vollmann harness the ambiguities of the colonial past to find sociocultural possibilities that operate beyond the workings of power and outside the politics of difference. 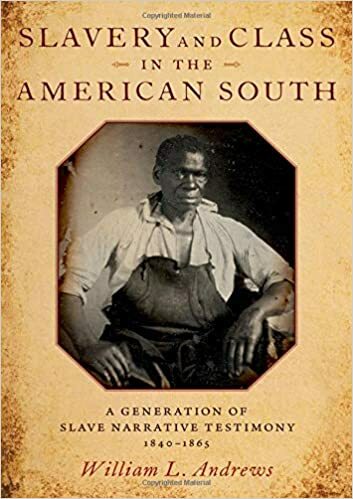 Throughout, this book remains devoted to uncovering the moments at which contemporary writers proffer visions of American communities defined not by marginalization and oppression, but by responsive understanding and inclusion. 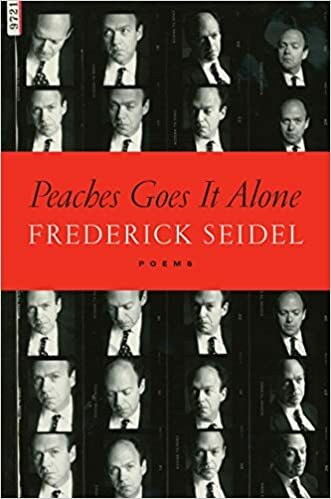 Peaches Goes It Alone, Frederick Seidel’s newest collection of poems, begins with global warming and ends with Aphrodite. In between is everything. Peaches Goes It Alone presents the sexual and political themes that have long preoccupied Seidel―and thrilled and offended his readers. Lyrical, grotesque, and elegiac, Peaches Goes It Alone adds new music and menace to Seidel’s masterful body of work. Fifteen years ago, Koh Jee Leong left a promising career in Singapore’s Education Service in order to become a poet in New York City. The change was transformative. Bite Harder: Open Letters and Close Readings tells the story of the change through essays that blend the personal and the literary: unlikely friendships in graduate school and the Village; encounters with the philosophy of Friedrich Nietzsche and the activism of gender rights advocate Pauline Park; reading Eavan Boland on the Upper West Side and reading Gregory Woods in Queens. These formative experiences are described alongside pioneering essays on Singapore poets, such as Goh Poh Seng, Cyril Wong, Yeow Kai Chai, and Justin Chin, and uncompromising letters about the struggle for freedom of expression. Koh’s unique perspective as both insider and outsider informs these essays and letters. Bite Harder is a vital contribution to the nascent genre of literary essays and the field of cultural criticism in Singapore. A renowned professor of English at the University of Virginia, Mark Edmundson has devoted his career to tough-minded yet optimistic advocacy for the humanities. He argues for the importance of reading and writing to an examined and fruitful life and affirms the invaluable role of teachers in opening up fresh paths for their students. In his series of books Why Read?, Why Teach?, and Why Write? 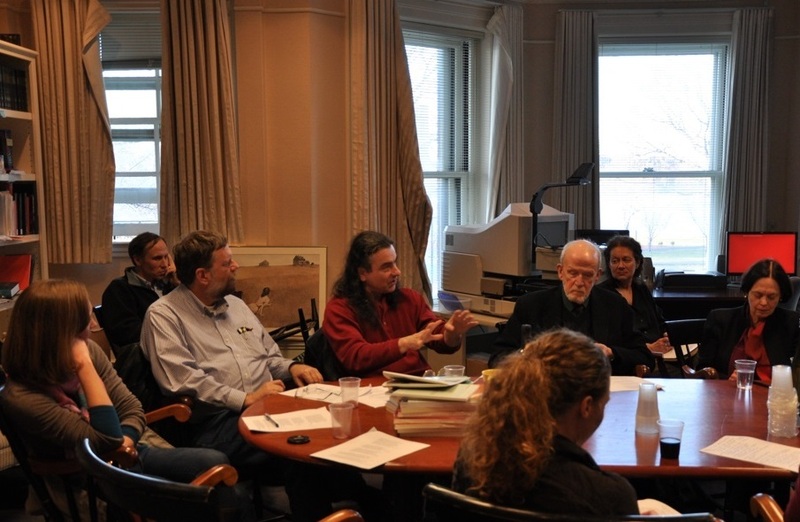 Edmundson explored the vital worldly roles of reading, teaching, and writing, earning a vocal following of writers, teachers, and scholars at the top of their fields, from novelist Tom Perrotta to critics Laura Kipnis and J. Hillis Miller. 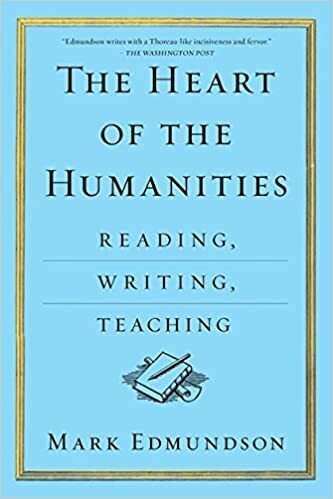 Now for the first time The Heart of the Humanities collects into one volume this triad of impassioned arguments, including an introduction from the author on the value of education in the present and for the future. The perfect gift for students, recent graduates, writers, teachers, and anyone interested in education and the life of the mind, this omnibus edition will make a powerful and timely case for strengthening the humanities both in schools and in our society. overlap with contemporary issues of near-universal surveillance; true solitude, in all its painful yet pungent delicacy, is in terrible peril. What is heard, of course, is often limited by what has been listened for: Nature provides the increasingly rare luxury of quiet, the ability to hear oneself think. Experimental in form and impulse, the formalism of Nine Over Sixes incorporates the imposition of the digital realm into their actual lines, gray numbers marking certain counted syllables as whispered percussion. “Such random-feeling interruptions form the sound texture of contemporary life,” Maxwell observes in her afterword, “what with the constant intrusion of the virtual realm, its buzzing texts and cell-phone ringtones making themselves known even in the midst of a forest.” Innovative yet deeply felt, these lyrics both note the problem and propose its solution. The lyric poem attempts to recreate and record an individual’s response to nature and art, that dimension of “overtones” which forms such an essential component of human experience. Just as the lyrics of Nine Over Sixes expressed anxiety about digital invasions into private experience, the nature-oriented chants of Mary Maxwell’s fifth volume, Oral Lake, join in protest against virtual realms. “Metrical form creates a kind of paradoxical exemption from chronological time,” writes the poet in the afterword to her new collection of “reflectively dual” lyrics: “I’ve returned to my previous book’s subject of time and measure, but here it revolves around the recollections of a man-made lake,” a real place from her post-industrial West Virginia upbringing. As my present voice and younger self fuse, I return to a communal past, one filled with coal-black stories. The poems try to come to an understanding of my own personal history of deep melancholy…. Long-internalized family lore forms one kind of legacy on which these poems draw… [arriving] with something of the quality of voices coming across water. Poetry. A collection that encompasses the Garden of Eden ("Something for Everything") and the end of the world ("Have It, Eat It"), ARTICULATE AS RAIN is an omnium-gatherum of tones, themes, prosodies, and poetic ploys. With characteristic comedy and surprising darkness, Stephen Kampa explores the relational aspects of our lives-love, faith, metaphysics, our civic selves-while revelling in the ranginess of the English language and in the music of its metrics. Yet for all its variety, this book reminds readers that countless raindrops can belong to the same storm. Like the age-old feud between the Montagues and Capulets in Romeo and Juliet, the enduring rivalry between the Boston Celtics and the LA Lakers makes for great drama. Macbeth's career began with promise but ended in ruin--not unlike Pete Rose's. Twelfth Night's Viola's disguise as a boy to enter into a man's world is echoed in Babe Didrikson Zaharias' challenge to the pro golf patriarchy when she competed in the Los Angeles Open. 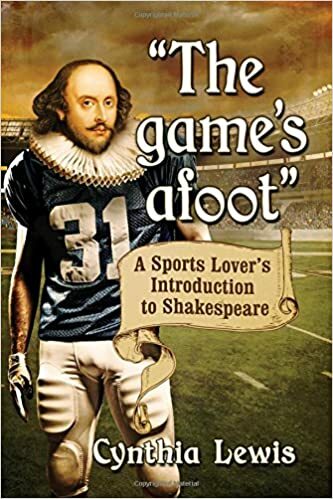 Exploring parallels between Shakespeare's plays and famous events in the world of sports, this book introduces seven of the best-known plays to the sports enthusiast and offers a fresh perspective to Shakespeare devotees. 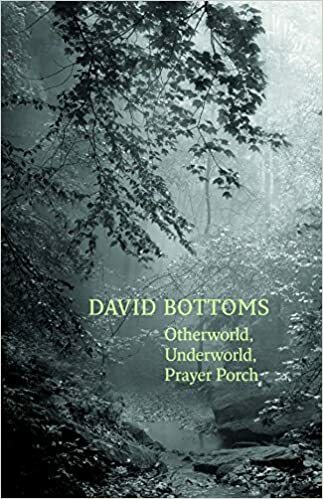 David Bottoms explores otherness, the death of parents, and private spirituality. Images of rural Georgia confront the changing landscape of his memories where he searches for refuge in quiet places of prayer. Rooted in nature, Bottoms’ poetry affirms the “tenuous ways tenderness seeps into the world” and the loneliness inherent in memory. Memory is “smoke off a damp fire” as Bottoms explores absence, a contemplative inner life, and changing landscapes. 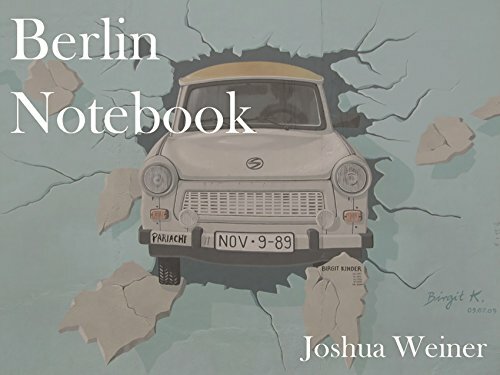 The chronicle of a fall and spring in Berlin during the peak influx of refugees into Europe in 2015-16, Joshua Weiner's Berlin Notebook opens a new view on German society's attempt to cope with an impossible situation: millions of people displaced by the Syrian civil war, fleeing violence, and seeking safety and the possibilities of a new life in the west. As some Germans, feeling the burden of the nation's dark past, try to aid and shelter desperate asylum seekers, others are skeptical of the government's ability to contain the growing numbers; they feel the danger of hostile strangers, and the threat to the nation's culture and identity. 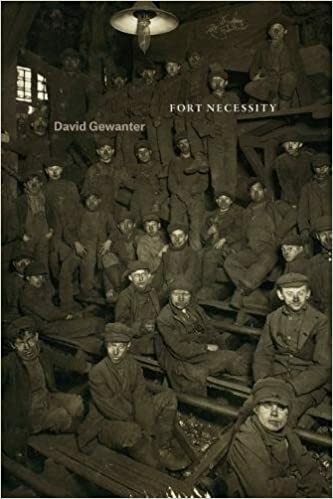 Unlike other contemporary reports on the situation in Europe, Weiner's sui generis writing includes interviews not only with refugees from the east, but also everyday Berliners, natives and ex-pats – musicians, poets, shopkeepers, students, activists, rabbis, museum guides, artists, intellectuals, and those, too, who have joined the rising far-right Alternative for Germany party, and the Pegida movement against immigration. Intermixed with interviews, reportage, and meditations on life in Europe's fastest growing capital city, Weiner thinks about the language and literature of the country, weaving together strands of its ancient and more recent history with meditations on Goethe, Brecht, Arendt, Heidegger, Joseph Roth and others that inflect our thinking about refugees, nationhood, and our ethical connection to strangers. Who are the lords of labor? The owners, or the working bodies? In this smart, ambitious, and powerful book, David Gewanter reads the body as creator and destroyer—ultimately, as the broken mold of its own work. Haunted by his father’s autopsy of a workman he witnessed as a child, Gewanter forges intensely personal poems that explore the fate of our laboring bodies, from the Carnegie era’s industrial violence and convict labor to our present day of broken trust, profiteering, and the Koch brothers. Guided by a moral vision to document human experience, this unique collection takes raw historical materials—newspaper articles, autobiography and letters, court testimony, a convict ledger, and even a menu—and shapes them into sonnets, ballads, free verse, and prose poems. The title poem weaves a startling lyric sequence from direct testimony by steelworkers and coal-miners, strikers and members of prison chain-gangs, owners and anarchists, revealing an American empire that feeds not just on oil and metal, but also on human energy, impulse, and flesh. Alongside Gewanter’s family are hapless souls who dream of fortune, but cannot make their fates, confronting instead the dark outcomes of love, loyalty, fantasy, and betrayal. Hothead is a haibun-patterned, book-length declamation in which no topic is off limits―Buddha, Jesus, Lincoln, America, global warming, eros, mental illness, the natural world, technology, the aging body. 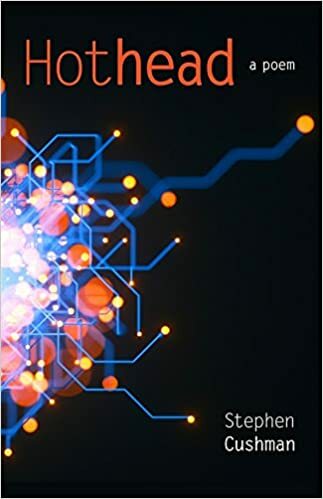 Cushman’s poetry shows us how to live in a world in which it is difficult to balance “the place where light and dark meet.” With an outmoded laptop named Patience as his daily consort, the speaker navigates through themes of love, politics, and belief. “There’s got to be someone,” Cushman writes, “exploring the way,” and the speaker of Hothead steps in to fill those shoes with intelligence, endurance, moxie, and humility. 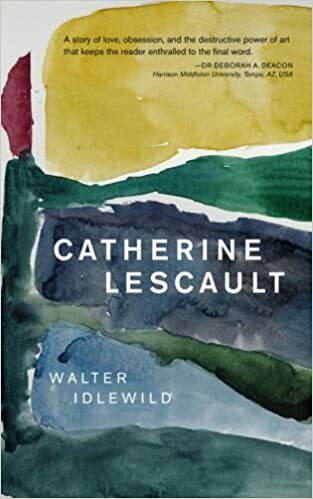 In the delirious and vitalizing novel Catherine Lescault, alternative incarnations of Honoré de Balzac’s classic characters from The Unknown Masterpiece enact romances of lunacy and obsession to dramatize their search for the reality of artistic creation. The novelists Frenhofer and Porbus, the painter and muse Gillette, the troubadour Nicolas, and the sculptor Houdon all strive to discover the secret of imbuing art with life, despite the voices of academic critics and students, peers and rivals, relatives and loved ones, and their own withering internal frailties. Some disciples may achieve the dream of allowing the ideal courtesan subject, Catherine Lescault herself, to breathe and live and love, while other artists’ fixations lead into monomaniacal madness with unspeakably tragic consequences. Which interpretation will ultimately triumph: sculpture, paint, music, dance, acts on the stage, or words on the page? 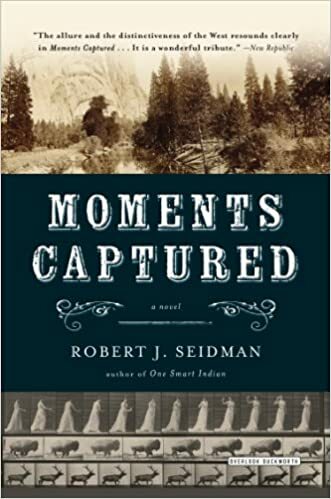 "Moments Captured" is the captivating story of two indelible individuals and a shattering murder in latenineteenth-century San Francisco. An epic saga of young America flexing its muscle, it is roughly based on the life of the great photographer Edward Muybridge. Crossing the country with his camera and outsized ambition, Muybridge meets the emancipated young dancer Holly Hughes, and inexorably she becomes the true focus of his life- though a corrupt robber baron interested in Muybridge's talent for technology comes between them. Through Seidman's finely drawn prose, we witness nation-building on a colossal scale, along with the politics of wile, greed, and seduction. With an intense love affair at its center and a true-to-life narrative of art and technology, this novel brings to life one of the most picaresque settings in American history. Over sixty years after his death, Wallace Stevens remains one of the central figures of American modernist poetry, celebrated for his masterful style, formal rigor, and aesthetic explorations of both the natural and metaphysical world. In Making the Poem: Stevens’ Approaches, George S. Lensing charts the evolution of the poet’s body of work from a holistic perspective, examining many of the elements that Stevens drew upon in the making of his poetry. Lensing’s analysis extends from the sources and contents of well-known poems, including dynamic new readings of canonical texts like “Sea Surface Full of Clouds” and “The Idea of Order at Key West,” through the historical backgrounds and musical elements central to Stevens’ technique, before concluding with a discussion of the gradual reception his work sometimes received overseas. By considering the form and meaning of individual poems, as well as the composition and reception of a poet’s body of work, Making the Poem provides a fluid view of the evolution of Wallace Stevens’s poetry, analyzing key elements in its development, composition, and reception. 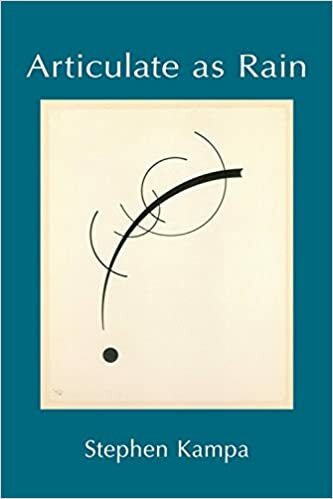 Drawing on his decades of research and writing on Stevens, Lensing offers many new insights to help scholars and teachers navigate the poet’s occasionally elusive texts. For more than forty years, Paul Cantor’s Shakespeare’s Rome has been a foundational work in the field of politics and literature. While many critics assumed that the Roman plays do not reflect any special knowledge of Rome, Cantor was one of the first to argue that they are grounded in a profound understanding of the Roman regime and its changes over time. Taking Shakespeare seriously as a political thinker, Cantor suggests that his Roman plays can be profitably studied in the context of the classical republican tradition in political philosophy. In Shakespeare’s Rome, Cantor examines the political settings of Shakespeare’s Roman plays, Coriolanus and Antony and Cleopatra, with references as well to Julius Caesar. Cantor shows that Shakespeare presents a convincing portrait of Rome in different eras of its history, contrasting the austere republic of Coriolanus, with its narrow horizons and martial virtues, and the cosmopolitan empire of Antony and Cleopatra, with its “immortal longings” and sophistication bordering on decadence. 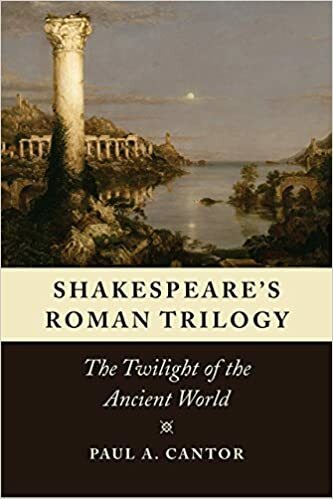 Paul A. Cantor first probed Shakespeare’s Roman plays—Coriolanus, Julius Caeser, and Antony and Cleopatra—in his landmark Shakespeare’s Rome (1976). With Shakespeare’s Roman Trilogy, he now argues that these plays form an integrated trilogy that portrays the tragedy not simply of their protagonists but of an entire political community. Cantor analyzes the way Shakespeare chronicles the rise and fall of the Roman Republic and the emergence of the Roman Empire. The transformation of the ancient city into a cosmopolitan empire marks the end of the era of civic virtue in antiquity, but it also opens up new spiritual possibilities that Shakespeare correlates with the rise of Christianity and thus the first stirrings of the medieval and the modern worlds. More broadly, Cantor places Shakespeare’s plays in a long tradition of philosophical speculation about Rome, with special emphasis on Machiavelli and Nietzsche, two thinkers who provide important clues on how to read Shakespeare’s works. 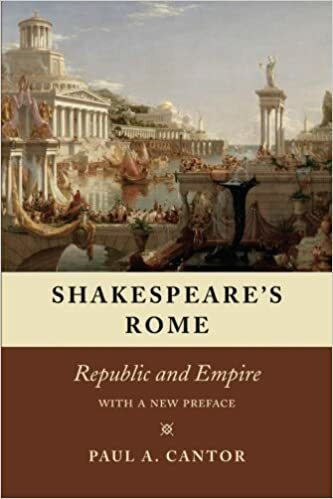 In a pathbreaking chapter, he undertakes the first systematic comparison of Shakespeare and Nietzsche on Rome, exploring their central point of contention: Did Christianity corrupt the Roman Empire or was the corruption of the Empire the precondition of the rise of Christianity? Bringing Shakespeare into dialogue with other major thinkers about Rome, Shakespeare’s Roman Trilogy reveals the true profundity of the Roman Plays. 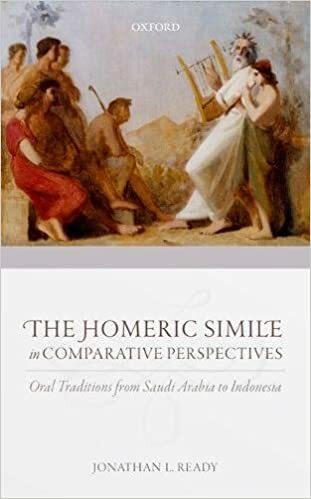 The Homeric Simile in Comparative Perspectives: Oral Traditions from Saudi Arabia to Indonesia investigates both the construction of the Homeric simile and the performance of Homeric poetry from neglected comparative perspectives, offering a revealing exploration of what made the epics such powerful examples of verbal artistry. Divided into two Parts, the volume first considers similes in five modern-day oral poetries - Rajasthani epic, South Sumatran epic, Kyrgyz epic, Bosniac epic, and Najdi lyric poems from Saudi Arabia - and studies successful performances by still other verbal artists, such as Egyptian singers of epic, Turkish minstrels, and Chinese storytellers. By applying these findings to the Homeric epics, the second Part presents a new take on how the Homeric poet put together his similes and alters our understanding of how the poet displayed his competence as a performer of verbal art and interacted with his poetic peers and predecessors. Engaging intensively with a diverse array of scholarship from outside the field of classical studies, from folkloristics to cognitive linguistics, this truly interdisciplinary volume transforms how we view not only a central feature of Homeric poetry but also the very nature of Homeric performance. "which is like trying to teach / The cat to waltz, so much awkwardness, so many tender / advances, and I'm shocked when it actually learns, / When it minces toward me in a tiny cocktail gown, offering a martini, / asking for this dance, insisting on hearing me refuse / To reply, debating all along, in the chorus of its interior mewing, who / are you really, peculiar animal, who taught you to call you you." Eon is the third and final collection in a conceptual trilogy that includes T.R. Hummer’s Ephemeron (2012) and Skandalon (2014). Along with its sister volumes, Eon tells part of the story of the all too short arc of our being in the world and the mystery that follows death. Separated into three sections, this work is a meditation on what humans can know concerning the eternal. Its second section, “Urn,” is comprised of a series of poems that read like extended epitaphs, all titled for and informed by someone who has passed away. The collection is shot through with significant corporeal imagery, as well as metaphysical flourishes, and closes with a section that gestures toward the redemptive power of love. 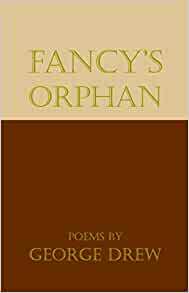 In both its style and its multiple references to the work of Rainer Maria Rilke, Emily Dickinson, and Philip Levine (to name a few influences), the collection is deeply aware of the poetic tradition from which it comes and into which it enters. Babylon under Western Eyes examines the mythic legacy of ancient Babylon, the Near Eastern city which has served western culture as a metaphor for power, luxury, and exotic magnificence for more than two thousand years. Sifting through the many references to Babylon in biblical, classical, medieval, and modern texts, Andrew Scheil uses Babylon’s remarkable literary ubiquity as the foundation for a thorough analysis of the dynamics of adaptation and allusion in western literature. 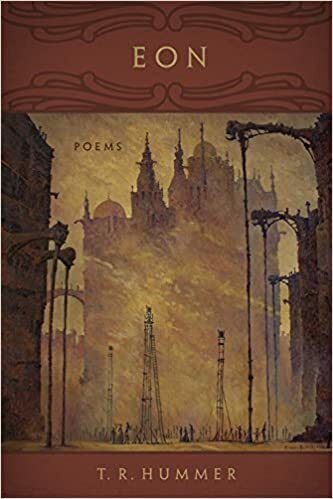 Touching on everything from Old English poetry to the contemporary apocalyptic fiction of the “Left Behind” series, Scheil outlines how medieval Christian society and its cultural successors have adopted Babylon as a political metaphor, a degenerate archetype, and a place associated with the sublime. 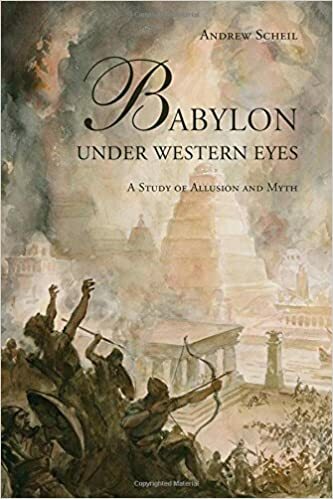 Combining remarkable erudition with a clear and accessible style, Babylon under Western Eyes is the first comprehensive examination of Babylon’s significance within the pantheon of western literature and a testimonial to the continuing influence of biblical, classical, and medieval paradigms in modern culture. Inspired by Toni Morrison's call for an interracial approach to American literature, and by recent efforts to globalize American literary studies, Race, Transnationalism, and Nineteenth-Century American Literary Studies ranges widely in its case-study approach to canonical and non-canonical authors. Leading critic Robert S. Levine considers Cooper, Hawthorne, Stowe, Melville, and other nineteenth-century American writers alongside less well known African American figures such as Nathaniel Paul and Sutton Griggs. 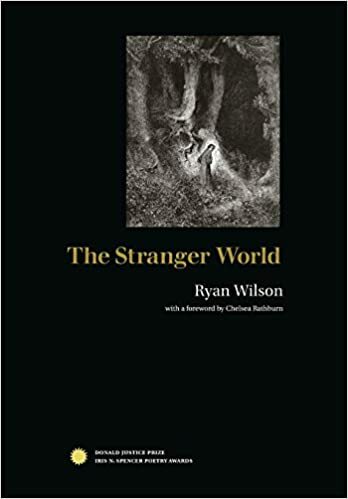 He pays close attention to racial representations and ideology in nineteenth-century American writing, while exploring the inevitable tension between the local and the global in this writing. 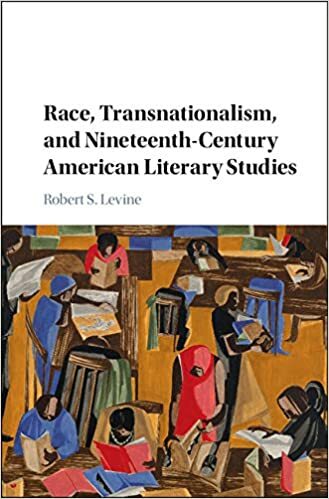 Levine addresses transatlanticism, the Black Atlantic, citizenship, empire, temperance, climate change, black nationalism, book history, temporality, Kantian transnational aesthetics, and a number of other issues. The book also provides a compelling critical frame for understanding developments in American literary studies over the past twenty-five years.